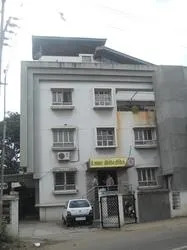 Established in the year 1998, we, “Solufeed Plant Products & Services Pvt. Ltd.” are one of the prominent Importer and Service Provider of a wide range of Fertilizers, Pesticides and Growth Promoters. The offered range comprises of various kinds of products that have been developed using best quality ingredients. In our offered range we have various kinds of products that are such as Water Soluble Fertilizer, Chelated Micronutrient Fertilizers, Humic Substances, Biostimulants/Natural Plant Growth Promoters and Eco- friendly Agrochemicals. All our products are widely recognized for their accurate composition, precise pH value and non-toxicity. In addition to the above, we are also indulged in providing optimal solutions for Fertigation and Foliar Spray Schedule for Horticultural Crops that comprises advisory services and a wide range of products. 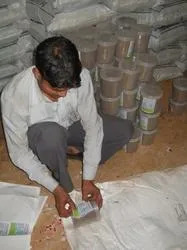 With the support of our excellent infrastructural facilities at Nashik, Maharashtra, India, we efficiently offer to our customers a wide and exclusive range of fertilizers. This infrastructure has been availed to the customers as per their needs. Recently we have planned to strengthen ourselves in other places of India such as Andhra Pradesh, Karnatka and Gujarat. Under the vigilant and ambitious guidance of our mentor Dr. Ashok Auti, we have established for ourselves a respectable position in the domestic markets. His managerial skills and motivational attitude towards the workforces have let us to have a customer oriented approach with timely completion of product's orders. Due to his market understanding we have garnered a vast clientele. We are a company following a stringent path of quality and in this range we have made sure all the quality issues are looked after. As the company's' logo & slogan goes "from deficiency.com to efficiency.com", this reflects our work philosophy. We aim to move from deficiency to efficiency and our passion is to built the profitability of growers. Being one of the prominent importers, we are indulged in offering various types of fertilizers under the brand name of “Solufeed”. Comprehensive testing and analyzation helps us decide what types of fertilizers are to be used and in what ratio. Our experts follow a stringent process of doing so and availing to the customers effective solutions. Our company is amongst one of the prominent manufacturers and importers of a wide range of speciality fertilizers that are used for fertigation and foliar applications. 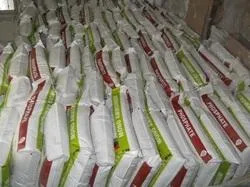 The offered range is widely applicable in various agricultural needs and is inclusive of various water soluble fertilizers, bentonite sulphur, chelated micronutrient fertilizer, humic substances and seaweed extract. Also we are able to offer amino acid powder, biostimulants/natural plant growth promoters, eco- friendly agrochemicals and botanical pesticides. Widely used in different applications such as agriculture, horticulture, floriculture and vegetable plantation our range is complete qualitative. In addition to the same we also offer effective advisory solutions pertaining to the same. Since our inception, we gained the expertise of the decade and an in-depth knowledge. We are also indulged in providing optimal solutions for Fertigation and Foliar Spray Schedule for Horticultural Crops that comprises advisory services and a wide range of products. The experts who work for us have complete understanding of the soil condition and health along with the growth of plants & crops. Our agriculture experts make regular visits to the client’s farm and the recommend them to take care of soil condition, crops and plants in an apt manner. They also conduct soil testing in various seasons for particular landscapes. Basically the tests are carried out to measure the fertility of soil, nutrient content, soil composition and other physical characteristics. We have hired for our company a team of proficient and qualified professionals who look after the work process. Owing to their profound knowledge in the agriculture sector, they are able to process these chemical, bio & organic fertilizers and pesticides. 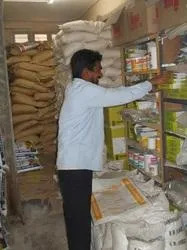 Quality controllers of our team are indulged in the careful supervising and manufacturing of bio control agents, plant growth regulators, fertilizers and pesticides and other miscellaneous agro based products. Our organization is engaged in offering a wide range of Fertilizers, Pesticides and Growth Promoters to our customers. We have associations with Chinese and European companies. Our company follows ethical business practices and other factors for developing a stable base for ourselves in the market. Our company has been widely appreciated by many of our customers for the consistency of the quality. We also in addition to the manufacturing of these also provide the best solutions that have practical applications. Our experts have to offer free advice to client’s regarding optimum care of soil and crops. The agriculture experts at our units discuss specific problems of our clients and accordingly provide solutions for individual crop or soil conditions. We have mainly designed to fulfill the specific requirements of the clients. All our advises are made to offer practical solutions to the customers.